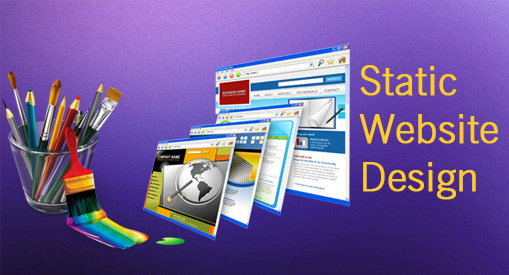 Static website is also called HTML WEBSITE DESIGNING. In static web site, the pages are easy to build. A static website is a website with pages (written in HTML/ HTM/ CSS / simple text) sent to web browsers as it designed. So the static websites show on browsers exactly as they designed. Naturally static sites are cheaper and ideal for some products like printed pamphlet. It is ideally fulfilling the requirements of small businesses, which may include animations, graphics, content and images. It shows perfectly your business logic which in turn rewards with good start to your business. Easy and quick way to get noticed by the search engines. Creation and renewal of website is too economic. To attract international audience, contents are kept well written. It opens fast with compare to word press website and dynamic website.